Please click here for the latest Group Info Graphic. 2016 marked another good year for 1st Swindon and already each of the sections are in full swing after the New Year, heading towards Easter and are working hard to achieve more badges, enjoying activities and preparing for the upcoming years events. The Leaders, Adult helpers and Executive are all working hard to do everything we need to to ensure all of our Beavers, Cubs, Scouts and Explorers have an enjoyable, fulfilling and successful 2017 in scouting. The Group continues to grow in numbers with full sections and the success of our annual events – Regatta, Les Barnes, Fun Day etc. also continue to grow in reputation and attendance year on year. We are seeking more volunteers to take on roles that are required to support the Executive and Leaders in running the group efficiently. We will post up in the The Wick any vacant roles. Plans for extending The Wick continue to move forward, although funding is the greatest and most immediate need we do have our plans fully approved. As you can see from our info graphic all of the sections had many achievements, exciting activities and events to be proud of during 2016. Our AGM will be held at Bowmoor Lake on the 16th June and we look forward to seeing you there. Please feel free to reply to contact myself using [email protected] with any comments, ideas or if you wish to volunteer in support of the group in anyway. 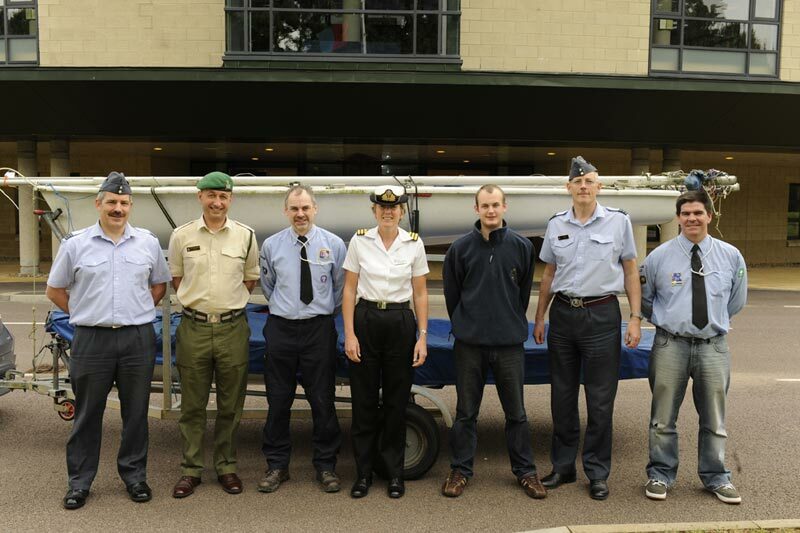 SEA Scouts have raised a fantastic £700 for the Swindon Cancer Appeal. The First Swindon Sea Scouts based at Haydon Wick marched and rowed under cloudy skies before putting on a spectacular fun-day at a sailing club in Lechlade. 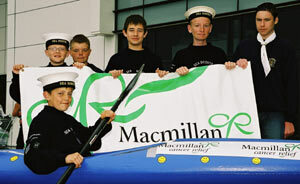 For many of the Scouts, the day began at 8am outside Asda Wal-Mart in North Swindon where they prepared their canoes for the long march to the River Thames at Cricklade, which took two hours, before rowing their boats to Lechlade and then marching to a fun day at the Bowmoor Sailing Club. The scouts raised £1,400 in total, half of which will go to the cancer appeal and half to the group’s own funds. So far, the Swindon Cancer Appeal has raised just more than £132,000, in the past few months with the grand total close to £750,000. The Swindon Cancer Appeal is also hoping to provide a training post for a Macmillan specialist breast care cancer nurse. In addition we want to provide a training post for another nurse specialising in gastrointestinal cancer. For more information about the Swindon Cancer Appeal call the appeal office on 01793 432252 or 01793 432253.